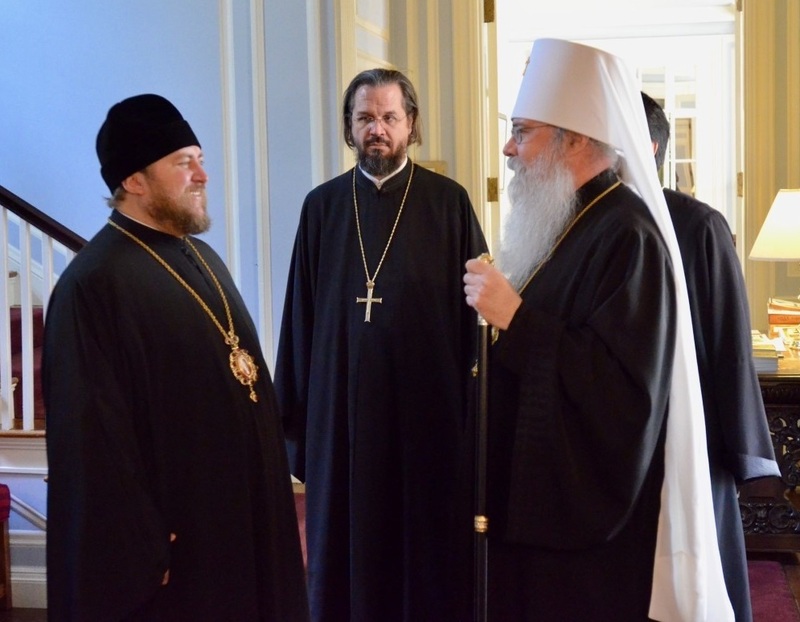 His Beatitude, Metropolitan Tikhon, hosted His Grace, Bishop Matthew of Sourozh, the recently appointed Interim Administrator of the Patriarchal Parishes in the United States, at the Chancery of the Orthodox Church in America on Monday, November 19, 2018. 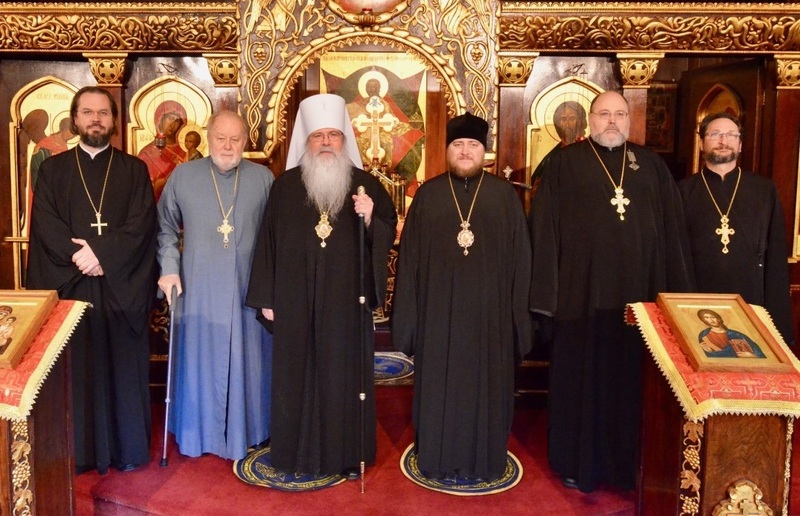 Bishop Matthew, on his first visit to the US since beginning his new assignment on October 15, 2018, also serves as Interim Administrator of the Patriarchal Parishes in Canada, a position to which he assumed on July 14, 2018. 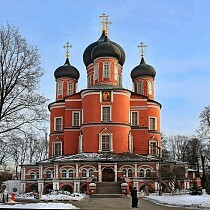 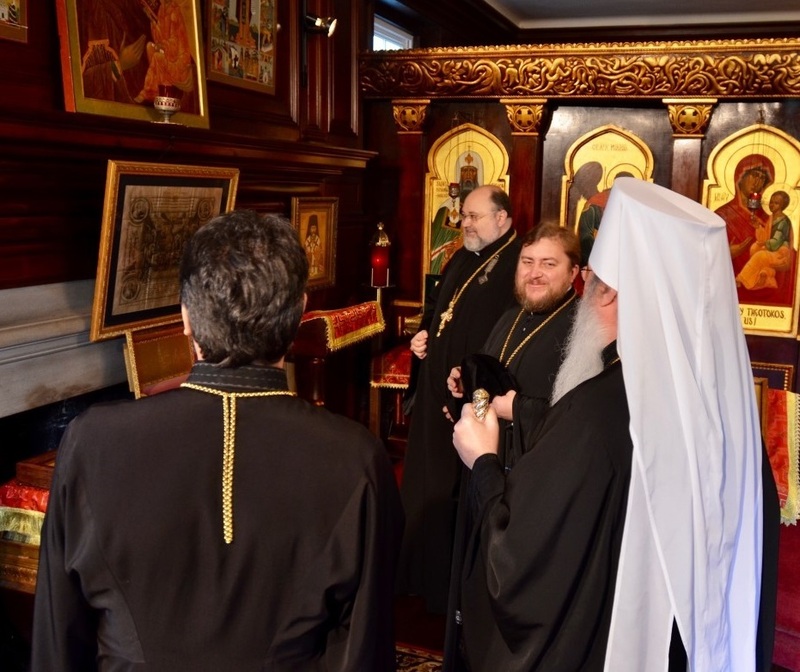 Metropolitan Tikhon received Bishop Matthew in the Chancery’s Saint Sergius of Radonezh Chapel, together with Archpriest Igor Tarasov, Chancellor of the Patriarchal Parishes in the USA and Rector of Saint George Church, Bayside, NY. 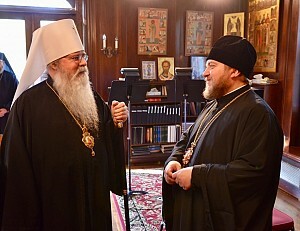 During lunch, Metropolitan Tikhon and Bishop Matthew discussed a wide range of topics, including the status of the Patriarchal Parishes in the US, the life of the Orthodox Church in Great Britain, and missionary prospects in North America and Western Europe. 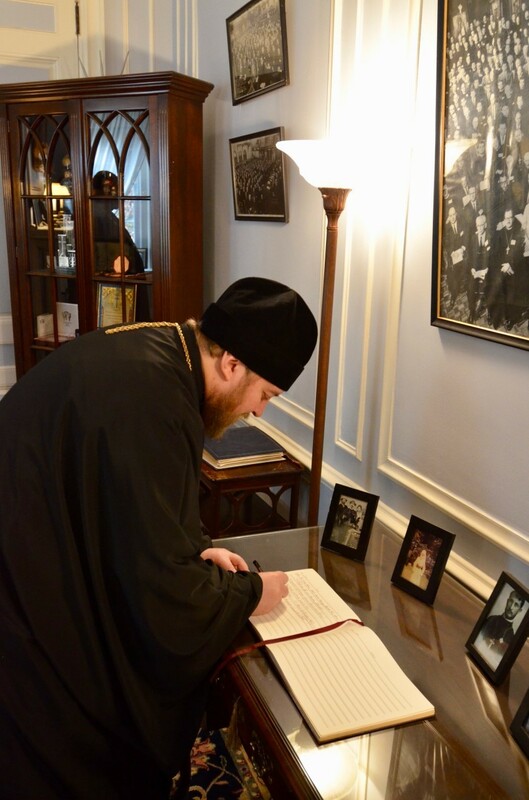 Metropolitan Tikhon shared the OCA’s plans to celebrate the 225th Anniversary in 2019 of the arrival of the first Russian Orthodox missionaries in Kodiak, AK and the 50th Anniversaries in 2020 marking the Granting of Autocephaly and the Canonization of Saint Herman of Alaska. Bishop Matthew further extended the invitation to Metropolitan Tikhon to preside at the Patronal Feastday celebrations at New York City’s Saint Nicholas Patriarchal Cathedral on December 19, 2018. 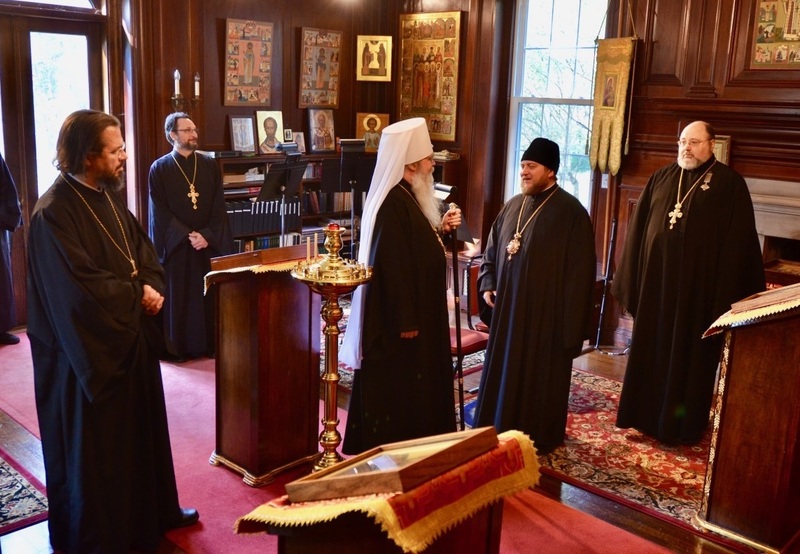 As a remembrance of their meeting, Metropolitan Tikhon presented a panagia to Bishop Matthew, who in turn presented a commemorative plate marking the 300th Anniversary of Orthodox Christianity in the British Isles.